Using decent gear is a prerequisite to making suitable content. A good camera or a good rig for streaming games ensures your video feels more like a quality production. A good mic ensures people can hear what you’re saying and sound like a jet engine warming up. And using good editing software can make your content look its best. 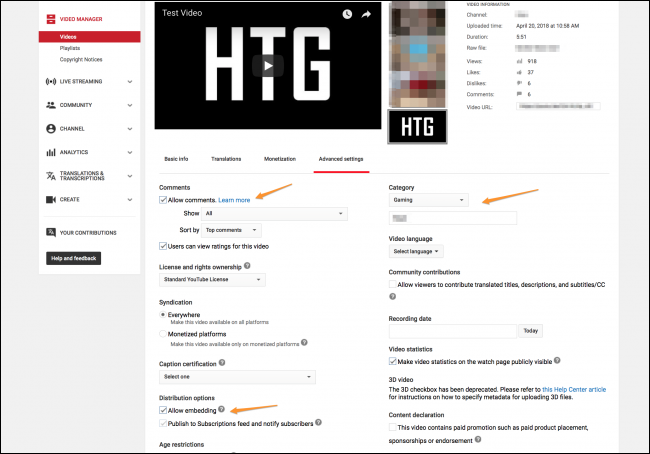 We’ve got a write-up on how to get started making YouTube videos that covers a lot of this, so we recommend giving it a read. YouTube (and Twitch) are heavily overpopulated by people trying to do the same thing you are: getting people to watch their content. There is so much content that an overwhelming majority of it is rarely seen by anyone. Take Twitch, for example, and their League of Legends category (pictured above). 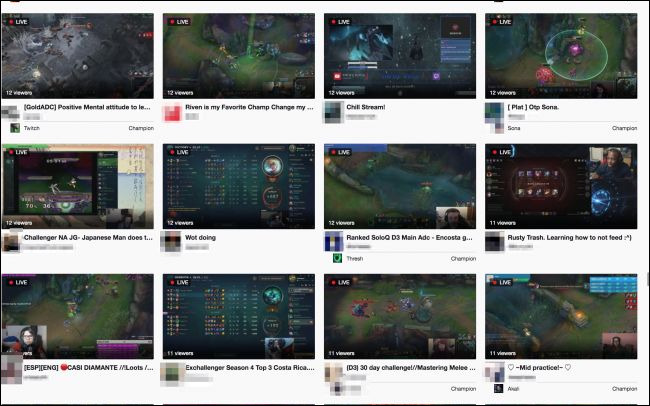 There are hundreds of thousands of streamers on the same game, and most have no viewers at all. Across the whole site, there are 2.2 million streamers, and only 27,000 (1.2%) are partners. It’s hard to get noticed on Twitch since you have to be streaming even to have a chance. On YouTube, your videos stay up all the time, effectively advertising your channel while you’re not streaming. That is an advantage, but you’ll still get beaten down by the sheer number of competing providers unless you find a way to stand out. So do something different. Find a niche and stick to it. If you’re part of a community, like a gaming community, try making videos useful for that particular community—something like tutorials and guides that everyone can appreciate. Think about what people would be interested in watching and make content that appeals to that. You should also try posting your videos around relevant subreddits, forums, or Discord chats. You’re not going to get thousands of views from doing this, so you want to make the few that you do count. If your video is good, your viewers will stay, and hopefully stick around to watch more. This will make YouTube more likely to start suggesting your content to other people, which bring in more viewers and start the cycle over again. This initial start from zero to even a little is the hardest part of getting started on YouTube, but if your content is engaging, you can get out of the rut of no viewers and start forming an audience. Nobody wants to watch poorly edited videos, so if your editing skills aren’t up to par, you may be driving viewers away. You don’t have to be a professional video editor, but choosing the right program and putting some work into learning to use it goes a long way. Spending more time editing your videos going forward will help your content appeal to a wider audience, and can make you seem better at making videos than everyone else. 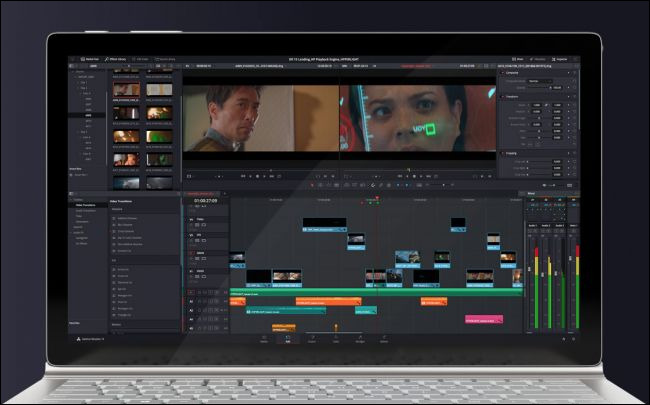 Davinci Resolve is a free professional-grade video editor which you should start with, and Adobe Premier and Final Cut Pro are paid apps for more seasoned creators. There are many tutorials on YouTube itself to learn to use whatever software you decide on. When editing, try to cut out boring pieces of a video and make it enjoyable and smooth to watch. Quick jump cuts between bits of audio are very popular on YouTube, as it helps keep the flow of the video going, and is also much easier to edit. After all, if you’re cutting out parts of the video anyway, you can stumble on your words and repeat yourself multiple times while recording before getting it right. Many YouTubers utilize this technique to great effect. You should try to learn from successful users on the platform. Watch how they edit their videos and take notes from their styles when editing your own. YouTube’s algorithm heavily favors longer videos. While nobody knows exactly how it works, maximizing watch time seems to be one of its priorities. The longer you can keep people watching, the better. YouTube notices when you have longer content and will start recommending it to more people. Not only do you want your videos to be longer, but you want them to be engaging throughout. It doesn’t matter if your video is half an hour long if the viewers click off after two minutes. Generally, around 10-15 minutes is a good length for most videos, but you shouldn’t worry too much about stretching your video out and should focus more on overall quality. Titles, tags, and thumbnails are also essential, as they are the packaging and advertising for your video. Good marketing will, in turn, lead to more engagement, so try to create titles and thumbnails that attract people to click on your video. While you don’t want to outright clickbait your thumbnail and title, leaving a slight exaggeration or a bit of mystery might make it a bit more enticing to watch.